The Epson TM-U950 has reached end of life. We recommend the TM-U590 as a suitable replacement. The Epson TM-U950 is designed to handle jobs which need maximum information in the minimum time and can print slips with up to four copies. 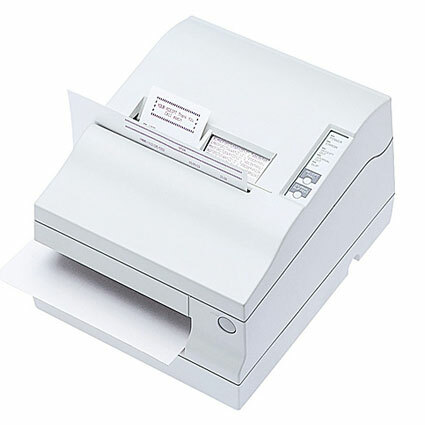 Ideal for receipts, journals and slips in most retail environments, the TM-U950 features easy use and maintenance, as well as an auto-cutter and low-paper detector. Dimension (WxDxH): 9.88" x 11.73" x 7.66"
Width: Roll - 2.73" ; Slip - 8.27"
Thickness: Receipt - 0.002" to 0.003" ; Slip - 0.003" to 0.014"